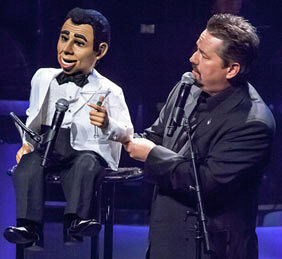 Purchase tickets to Terry Fator at the lowest prices today. Terry Fator is a world-class ventriloquist as well as a celebrity impressionist and comedian who showed just a small slice of his immense talent when he won the second season of America’s Got Talent. He’s an extremely versatile entertainer, hilarious without having to resort to profanity or crude jokes, putting on a show that the entire family will love. Fator breathes life into his unforgettable puppet characters like Winston The Impersonating Turtle and lounge singer Monty Carlo as well as newer creations like Wrex The Crash Test Dummy, with interactions so smooth and flawless it’s hard to believe they aren’t actually living, breathing performers. Terry and his “co-stars” banter and spoof celebrities and his spot-on singing impressions of superstars like Garth Brooks, Elvis Presley and Cher are backed up by a seven-piece band to keep audience members entertained throughout the show. 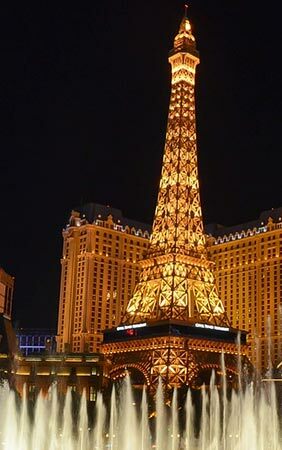 His show continues to receive standing ovations and is expected to remain in Vegas for many years to come with the frequent creation of new characters.